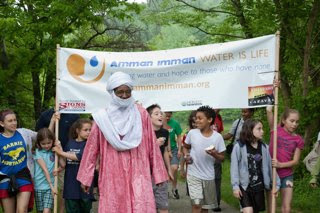 On behalf of Amman Imman, I’d like to thank everyone from the Barrie, Oneness and Aidan school communities for their support and participation during A Walk For Water. While we are still in the process of calculating the total amount of money raised for the next borehole, we know that everyone enjoyed a beautiful hike in the woods. 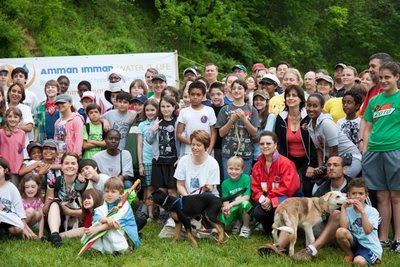 For many, A Walk for Water at Lake Frank has become a yearly tradition, an event through which families experience what it means to take action together and make a difference in the world. 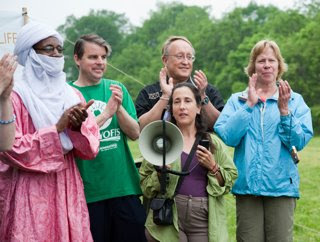 I heard many stories that day that made me realize how important Amman Imman’s work in the Azawak has become here in America for the students and families who have become our ardent supporters. 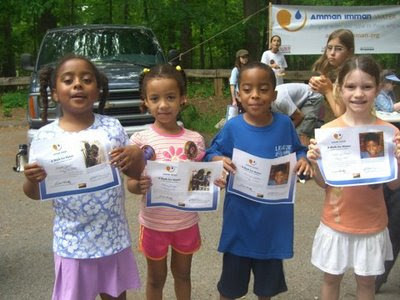 For three years, Ryan has participated in A Walk for Water. For his family, cultivating values of service in their children are very important. 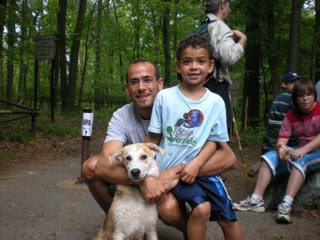 Every year with his parent’s support, Ryan approaches his friends and neighbors to sponsor his three-mile walk. Although he feels a little shy about asking, he has gotten better and better at explaining the water crisis and how his school’s involvement in the Amman Imman project has changed lives in the Azawak. The response from his neighbors, when they give a donation every year, builds his confidence. 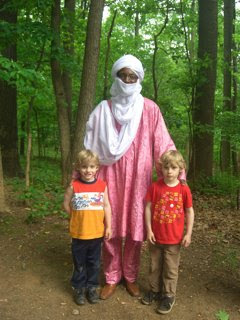 Five-year-old twins Kieran and Callum attended A Walk for Water for the 2nd year. Their mom, Christine, a teacher at Oneness-Family School, took her time walking the trail with the boys, their friend Josh, and 11 year old husky dog Colby. For the boys (and for their mom keeping them on the trail! ), it was a great achievement to complete these three miles. Christine and her family, including 19 year old Sophie, middle schooler Sebi, and the twins, have made A Walk for Water and raising funds for the children of the Azawak a special event for their family. Even the five year olds ask their neighbors for money to help the “Aaazawaak” . Of the seven people who sponsored Wynne’s Walk for Water this year, her own contribution provided her largest sponsorship. Each year Wynne chooses a charity to donate a portion of her allowance. This year she chose Amman Imman because “everyone deserves to have water”. According to the number of sponsorships she collected, Wynne qualifies to receive an incentive prize. However, she says that even if prizes were not offered she still would have approached the same sponsors and asked them for a donation. At the rally, I spoke about the importance and magnitude of everyone’s effort just to be there, and how whether they knew it or not, every one of their contributions, no matter how small, does count. As I learn about fundraising, I’ve discovered that most of the good that is done in the world is not funded by foundations or large corporations, but rather by individuals like you and me who care. I think this is a tremendous insight that brings credence to the adage “You can make a difference”. We have this example in our own country as President Barack Obama funded his election through contributions from average Americans. When we work together, we can really and truly make the world a better place. While bringing life and hope to the Azawak by building boreholes, we also bring life and hope to our own communities and children. The wonderful day we had this past Saturday would not have been possible without our volunteers, walkers and their sponsors: teachers, family members, friends, and students from the three schools that came together at Lake Frank, and those who participated through sponsorships. Thank You! Very nice to visit your blog and found very interesting. I also have an blog http://www.philanthropist.org. which is a market-based micro-philanthropy exchange that joins charitable donors with workateers. I truly believe that water is life. Access to water is a God-given right for all human beings. Since water belongs to all life on earth, access should belong to all people - not just to the rich. Thank you both for your comments. We need to work together so that all people can fulfill their basic needs.